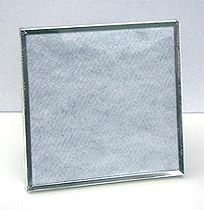 Bionaire 2511D Dual Filter is a Genuine OEM Bionaire Filter. 2511D Dual Filter fits F250, F250W. Bionaire 2511D Dual combines HEPA filter with activated carbon filter. Filter Dimensions, inch. 12.6 x 12.6 x 0.4. Bionaire 2511D Dual Filter comes 4 filters per pack. Save up to 50% on Delivery Charges* when Order 2 Pack of 4 Bionaire 2511D Dual Filters. 2511D x 2 Bionaire 2511D Dual Filter. Save up to 75% on Delivery Charges* when Order 4 Pack of 4 Bionaire 2511D Dual Filters. 2511D x 4 Bionaire 2511D Dual Filter. * Compared to delivery charges for the same number of filters shipped individually.